It’s been a looong winter, but it’s finally time to celebrate spring, so get those little green thumbs going with Peek a Green’s Organic Gardening Kit. 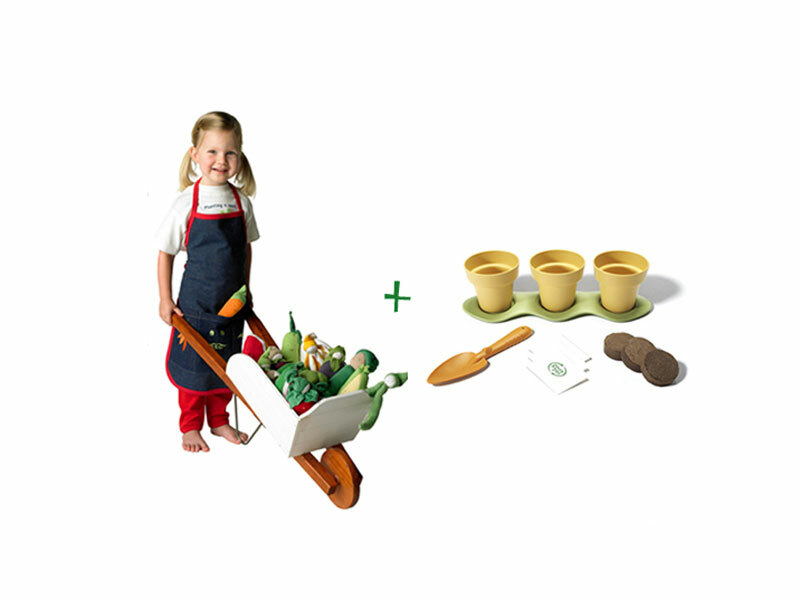 In addition to an organic cotton apron (with plenty of pockets for holding toys or craft supplies as well as gardening tools) from Under the Nile, the kit includes Green Toys gear such as planting pots made from recycled milk jugs, three types of seeds, and soil. Your home won’t be the only place getting a green boost — when you buy this set, Peek a Green will plant two trees through Trees for the Future! P.S. All those cute veggies in the wagon can be found at Under the Nile. It's been a looong winter, but it's finally time to�celebrate spring, so get those little green thumbs going with Peek a Green's�Organic Gardening Kit. In addition to an organic cotton apron (with plenty of pockets for holding toys or craft supplies as well as gardening tools) from Under the Nile, the kit includes Green Toys gear such as planting pots made from recycled milk jugs, three types of seeds, and soil. Your home won't be the only place getting a green boost -- when you buy this set, Peek a Green will plant two trees through Trees for the Future! P.S. All those cute veggies in the wagon can be found at Under the Nile.